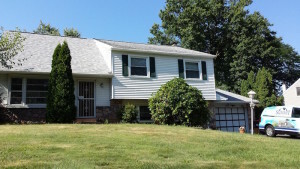 Have been in the house since 2000 and have lost (& replaced) shingles over the years (and recently) and now would like to get an estimate to see how much it costs for a new roof to inform myself on the decision. Need a new roof. My sister Tracy will be handling this project-we live together. She will be the better one to contact at 215-407-5520. Thank you. After the latest storm we noticed some water stains on our master bedroom ceiling and were concerned there is a leak in the roof. On the one side of our home, we are in need of siding repair. It appears some siding has popped a little bit. I would like an estimate on a new roof. We need siding, windows, and roofing. Hi there - I need a flange replaced on my roof. Can you assist? Need a quote to replace roof on residential building. Would also like to know how much it would cost to add a ridge vent to one car garage during new roof install. The job was done beautifully, and they cleaned up very nicely! I had a great experience using this company. We appreciated the quick response when we reached out to Summit and they came out the next day to look at the job and give us a quote. If you live in Chalfont or a nearby area in Pennsylvania, you need a roof and siding that will last through every season. Anything from wind, rain, and snow to high humidity levels and excess moisture can cause a problem for your home's exterior, so it's always better to be prepared with a durable roofing system that you can feel good about. 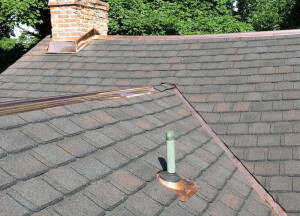 When you need roof repair, roof replacement, new siding installation, or gutter work in Chalfont, PA, Summit Roofing and Siding Contractors is the expert roofing company that you can trust. We are an Owens Corning Preferred Contractor in business since 2009, and we have built a solid reputation thanks to our excellent service and quality results for our customers. We use proven roof repair methods to fix any issues and return your roofing system to a safe and properly functioning state. Whether you need emergency roof repairs or general roof repair and maintenance, our highly trained roofing experts can help! We offer ice dam prevention and removal, hail damage repair, ridge vents and ventilation, wood rot repair, and more. 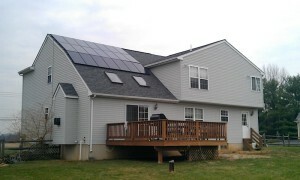 Are you dealing with the stress and hassle of recovering your home after wind and storm damage? We understand that you want to get your life back to normal as soon as possible, and we will help with everything from the initial roof inspection to job completion. We also provide commercial roofing for townhouses and condominiums. Our commercial roof replacement options include asphalt shingles, EPDM/rubber roofing, metal roofing, modified bitumen, and PVC roofing. A roofing system is incomplete without functional, clog-free gutters and downspouts to carry away excess water and protect your home from water damage. That's why we also offer gutter cleaning, gutter guards, and new gutter installation throughout the Chalfont area. We install aluminum gutters and copper gutters, and we will ensure that your new gutter replacement will never clog or overflow so that you can put the ladder away and enjoy the easy maintenance. Don't hesitate to give us a call to find out more about our proven roofing and gutter services in Chalfont, PA, and surrounding areas! Are you ready to get started on upgrading your home's exterior with roof repairs, roof replacement, siding installation, or a new gutter system? Summit Roofing and Siding Contractors is the trusted roofing and siding contractor that you can rely on in Chalfont, PA, and areas nearby. Contact us today for a free, no-obligation cost estimate! I would like an estimate for a new roof. Have seen multiple recommendations from others who live in the Highlands in Chalfont. Since this is an HOA community, it would be helpful to familiar with the regulations, however not necessary. I am working from home on May 16th, can someone come to my home in the afternoon? If not we can schedule something else. Thank you. One flashing under the roof is broken because of wind and one is loosing and I would like to have preventative maintainacne on others too. Lost a lot of shingles due to winds. Called insurance co (State Farm) and they said get an estimate from someone for repairs. I have two straight runs in front of house where existing gutters need to be replaced on Front high roof and front low roof only. In the process of planning and getting quotes. Reaching out to get a free estimate. We would like an estimate to replace our roof. It is 20 years old and we think it is time to start looking at replacing it. Need to replace old siding with new siding. Siding project that may interest you. Lets discuss.